What is the “astronomical theory”? 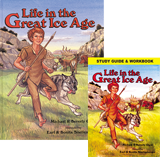 For older students: Why do creationists believe there was only one Ice Age? Discuss the problems with the multiple Ice-Age theories promoted by evolutionists.